By removing the rim of the bowl, there is now nowhere for germs to hide. And by adding Caroma's flush and flow features, we've created a superior flushing performance that delivers a cleaner clean. Cleanflush® cleverly designed bowl combines with innovative flush & flow technology, to create a cleaner clean every time. By removing the rim of the bowl, there’s now nowhere for germs to hide. 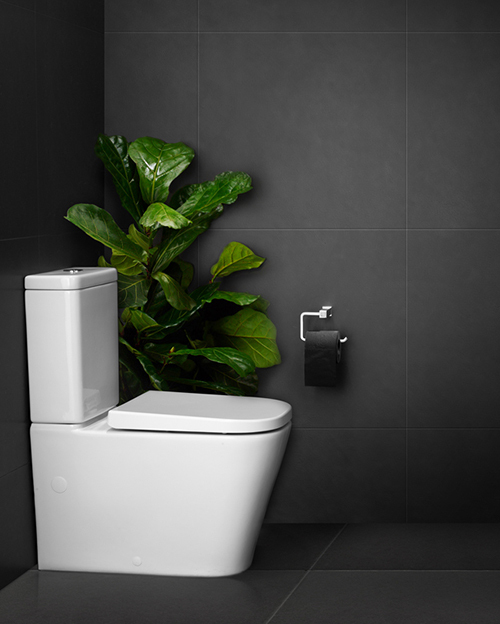 And by adding Caroma’s flush and flow features we’ve created a superior flushing performance that delivers a cleaner clean for all Australians. The rimless bowl removes the hiding places for germs and Caroma’s latest flush & flow innovations give you a more powerful whole bowl clean. So you spend less time cleaning the toilet and more time with the family. Now that presses your buttons, doesn’t it! Introducing the Caroma Urbane Collection – a combination of functionality and design unity, ideal for a range of tastes. The Collection includes toilets, basins, baths, taps, showers and accessories and embodies classic contemporary style with smooth curves and subtle accents. Embracing a distinctly Australian style, the Urbane Collection demonstrates the technical and design ingenuity that has made Caroma a market leader for 75 years. 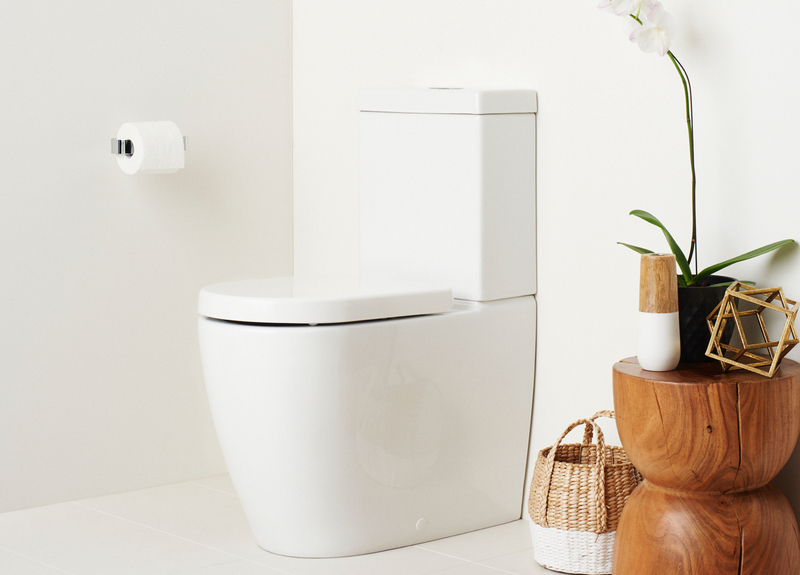 Introducing the Caroma Luna Contemporary Collection – incorporating patented Caroma Cleanflush technology, The Luna toilet range delivers superior flushing performance that delivers a cleaner clean. The modern 3 piece tapware, accessories and close coupled toilet suites make replacing tired products quick and easy for maximum impact and cost saving. With all your bathroom needs covered, the Luna Contemporary range delivers a consistent and modern look throughout your bathroom. Introducing the Caroma Care 660 Cleanflush Collection - the Care 660 Cleanflush offers an easy height, elevated pan with extra projection for easy transfer on and off the seat and optional nurse call armrests making it the great option for those with limited mobility. The added hygiene of the Cleanflush® rimless flushing system makes the AS1428.1-2009 Ambulant compliant range ideal for hospital, aged care and commercial applications where the absolute highest levels of hygiene and rapid cleaning are required. Introducing the Caroma Care 800 Cleanflush Collection – ideal for hospital, aged care and commercial applications where the absolute highest levels of hygiene and rapid cleaning are required. Available in invisi or closed coupled options; with a raised height seat, increased pan projection and an optional backrest, specifically designed to provide extra support for people with disabilities and applications requiring compliance to AS1428.1 Amd.1 Design for Access & Mobility. Introducing the Caroma Care 610 Cleanflush Collection - The Care 610 Cleanflush range offers an elevated pan for easy transfer on and off the seat, making it the ideal option for those with limited mobility. The Care 610 connector suite is a modern and cost-effective solution designed in accordance with AS1428.1–2009 Amd. 1 Access and Mobility requirements. Care 610 is ideal for replacement of older style connector suites; while providing the benefits of a hygienic Cleanflush rimless flushing system. The versatility of the Care 610 Pan makes it ideal for use by both ambulant persons with disabilities and wheel-chair users including commode chairs. Introducing the Caroma Opal Cleanflush Collection – the polished and streamlined design of the Opal range brings style and functionality to the bathroom. The Opal collection includes a range of basin styles, complimenting the wall- faced suites through incorporation of the smooth, rounded contours which underpin the contemporary design of the range. The inclusion of a raised height pan, extra projection and optional nurse call armrests also make Opal suites ideal solution for commercial and aged care applications. Watch this 3D animation to discover how Caroma has revolutionised rimless flush technology to produce a powerful and more hygenic flush.